As in Julian of Norwich's hazelnut story, the touchstones of Fae Melania's spirituality are ordinary, humble things. Christian life happens in the ordinary--when we do the dishes, when we garden, when we tuck our children into bed, even when we argue with our spouses. Fae Malania recognized this truth half a century ago. In these pages, you'll read about her kitchen epiphanies, and the spiritual insights that come to her while reading the newspaper. "To begin with, never mind pleasure," writes Fae Malania in her account of one woman's discovery of faith, "Search out joy." 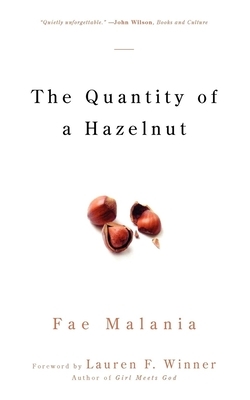 In this newly revived classic, the image of a hazelnut calls up Julian of Norwich and her vision of a God who holds the smallest thing in being, a hazelnut or a sparrow, by the sheer force of love. Whether reflecting on a pigeon crossing East 36th Street to the ironies of trying to live simply, from Scarlatti on the car radio to the secret life of insects, Malania's voice is unique and her vision clear.